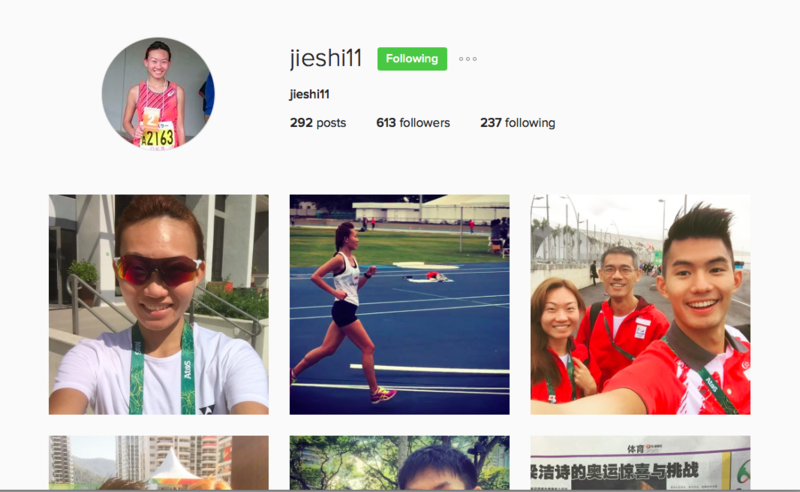 An Interview with Neo Jie Shi: Olympic Marathoner | JustRunLah! We are all busy, we are all short on time and we all have a million things to do in one day! After all, it’s how determined you are to go for a run and how committed you are to achieve something great. Here’s one: Neo Jie Shi, who progress from the recreational runner to Rio Olympic 2016-bound marathoner, taking charge in her work-life-run balance. On the space of a mere 5 years, she won the Standard Chartered Marathon Singapore 2015 and got a 10th place finish overall, earning her a direct ticket to Rio Olympic 2016. Following that under the guidance of veteran trainer Steven Quek – appointed by the Singapore Athletics Association (SAA) in February – Jie Shi has improved significantly and now she is ready to race at the world’s biggest sporting stage. 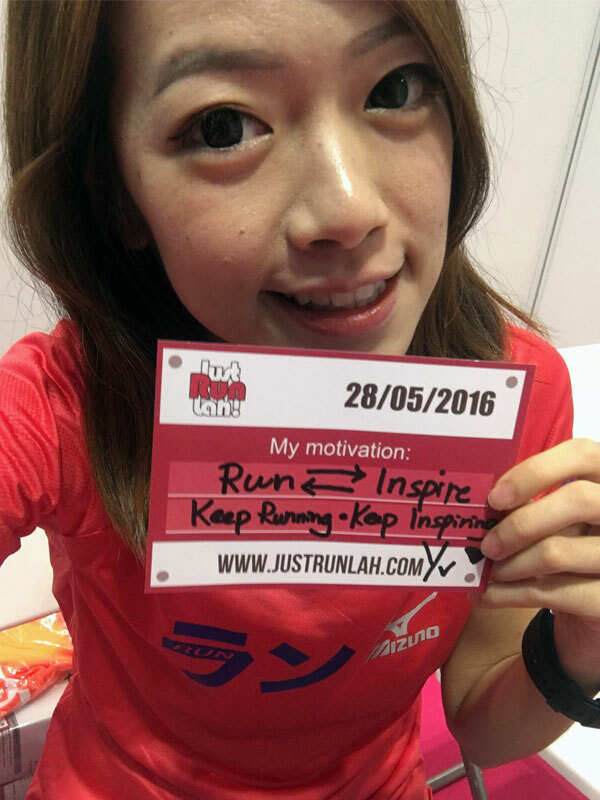 Many thanks to Jie Shi for taking the time and share her inspiring story with JustRunLah! readers before her big trip to Rio. Read on and get inspired! Jie Shi: Hi everyone, I am Jie Shi and I am 31 years old this year. I work full time as an Assistant Manager – HR & Admin at GP Batteries International Limited. I enjoy long distance running and picked up competitive running in 2011 after I joined SAFRA Jurong Running Club. I usually train in the evenings after work and on weekend mornings. JustRunLah! : 50 words to describe your running journey thus far. Jie Shi: It has been an amazing and exciting journey. I started out as a recreational runner to keep fit, with the aim of just improving my runs. I never thought I would have the opportunity to compete in the Olympics. I am humbled and hope that my qualification would be an inspiration to all up and coming long distance runners in Singapore. 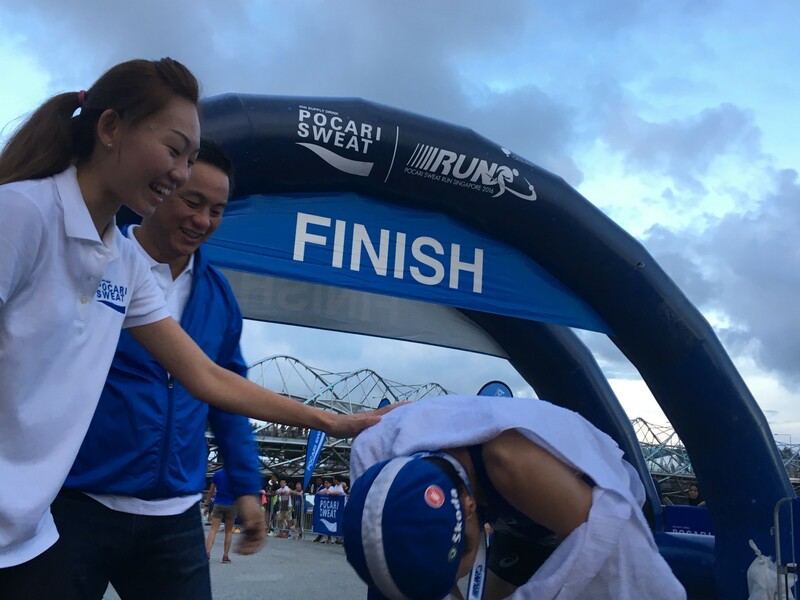 Jie Shi puts on the finisher medal for top runners in the Pocari Sweat Run 2016. 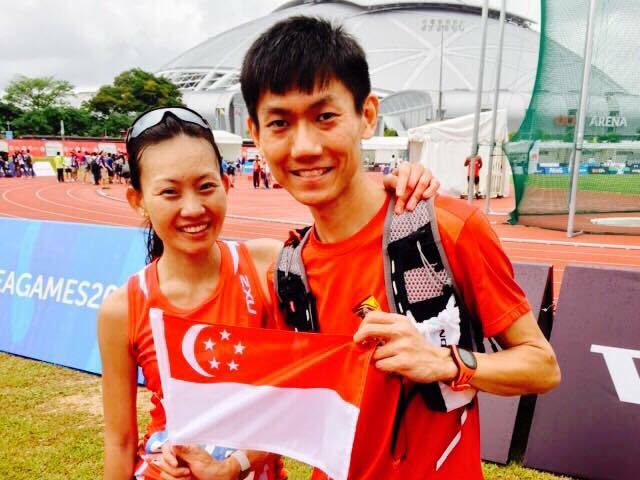 Jie Shi: I signed up for my first marathon in 2007 with my friend with a target to just complete the marathon. I took 5hrs 20mins to complete the run and went on to participate in Standard Chartered Marathon Singapore ever since. Jie Shi: Keep training consistently and enjoy your training. Hard work does pay off. JustRunLah! : Anybody you specifically wish to thank? Jie Shi: Too many to thank. I would like to thank my coach, my husband and all my training partners who have been accompanying me on my intervals training and long runs. Thank you for all the support, encouragement and faith in me. Thanks Jie Shi! Her running journey is inspiring to people like us – who are waiting to unleash potentials! All the best in Rio 2016 and continue amaze us! Remember to leave Jie Shi some love in the comments section below!